The Place A mix of an art school and cafe, Cups N Canvas is a concept art cafe along Selegie Road, which seems to have gained popularity recently. The weekly art classes are open to public where there will be professional art teachers to guide the novice. The food menu is limited to a few pasta dishes and sandwiches. 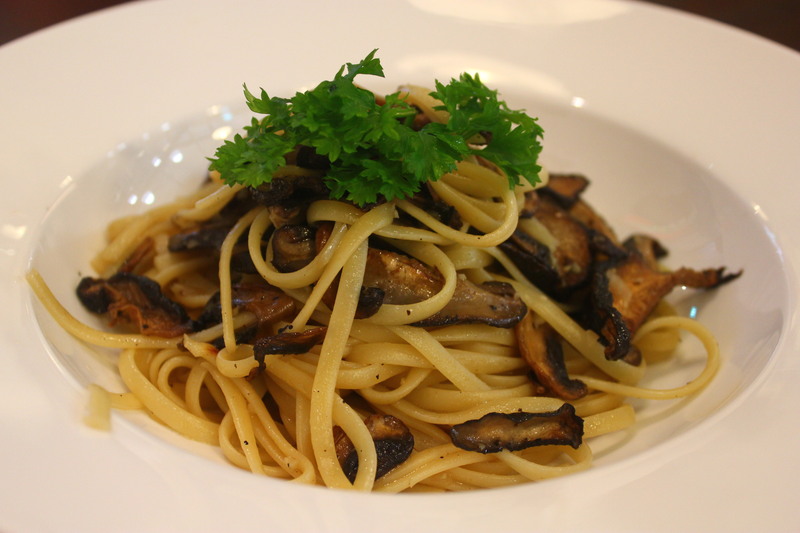 I tried the Olive Room ($12.90) which is basically linguine with mushrooms in olive oil. Rants The food and coffee is average and it does not leave a deep impression on me after my visit. The menu seems to be too conventional in my opinion. Will I return again? With so many cafes springing up, there seems to be a lack in distinctive factor in Cups N Canvas. I am simply too spoilt for choice these days.